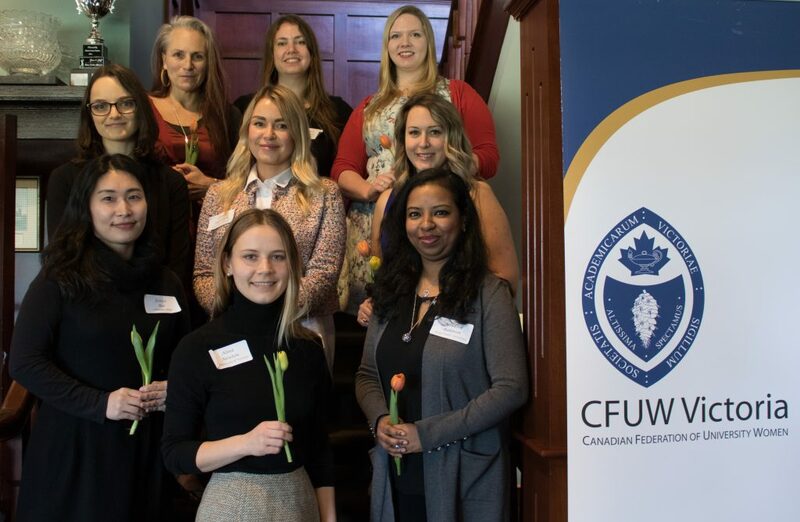 Our annual lunch was held on February 24th, 2018 at the Victoria Golf Club. 72 guests attended. Nine students were there as well as five of the development officers from our local post-secondary institutes. Each of our nine student winners was paired with a host which is a system that works very well for both the student and the host. We changed the format of the S&B Lunch this year and we think it was a success! We did not have a speaker as the focus this time was on the recipients. Instead we talked about the past and then the future. Before each student was introduced, a brief history of the award that the student received was given. We learned a lot about some of our impressive women of the past years. We then asked students to talk about themselves: what the award meant to them, what they were studying and what they will do in the future. Nearly all the tables had a student with her host and so there was much lively conversation.